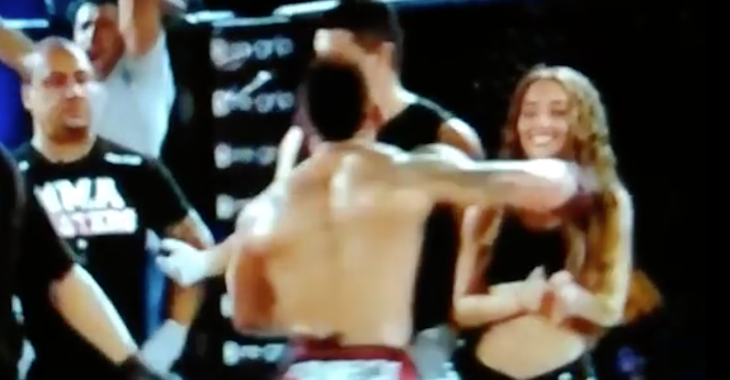 One of the most exciting fights on paper in Titan FC history did not go down as expected. In fact, it didn’t go down at all. 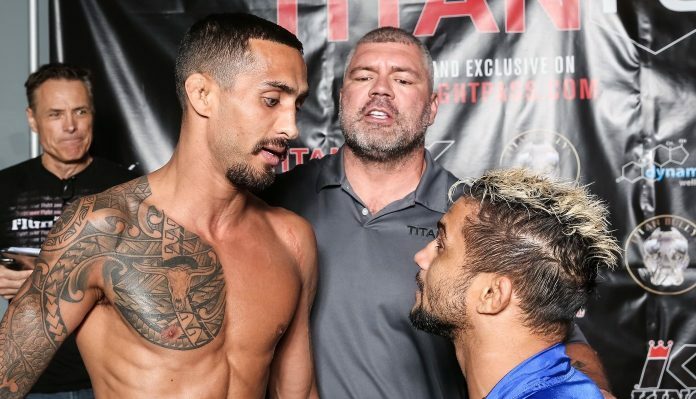 Friday night, Titan FC 53: Bad Blood was to aptly feature a grudge match between reunited enemies Juan Puerta and Gustavo Balart. Just moments before the fighters were scheduled to make the walk, Titan FC COO Lex McMahon took to the mic to make an unexpected announcement. 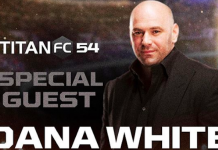 Moments after the event concluded, McMahon spoke with BJPenn.com about the mysterious cancellation. “In the third or fourth round, the Florida commissioner came to me and notified me that Juan Puerta had tested positive for marijuana and that they would not allow him to fight,” McMahon said. “As I’m trying to digest that, I’m trying to make sense of why they wouldn’t adjunicate it after the fight, we’re minutes away from a walkout. Radiating genuine disappointment, McMahon views the conundrum as a losing situation for all parties involved. While still a bit unclear, McMahon says he believes the withdrawal came as a result of a sample Puerta had given just hours before. “I believe [the test] was taken today when they arrived at the venue,” McMahon said. “The fighters from this card have only had two interactions with the Florida commission. One was yesterday during weigh ins, and I’m almost certain no one was tested then. Anther looming question still remains. Does a “disqualification”, in this instance, mean a loss on Puerta’s record? McMahon says he isn’t quite sure. Unsurprisingly, Puerta is facing repercussions from the boxing commission in the form of not only a check withhold, but also an indefinite suspension. From Titan FC’s end, repercussions have not been issued at this time. Contrary to rumblings on social media, McMahon made it clear that Puerta is not stripped of his Titan FC Flyweight Championship at this time. The promotion’s COO says he needs to wait and see how things transpire. “I happen to think the world of Juan Puerta,” McMahon said. “I’m obviously very upset at the current situation. I want it to play out. Let’s see how things play out over the next few days. Obviously there will be repercussions from the promotion, but I don’t know just yet. As for Puerta’s opponent, fan-favorite Gustavo Balart, McMahon says he has been paid, and Titan is doing everything they can to get him an in-cage opportunity as soon as possible. He credits Balart for handling the situation like a professional. Titan FC will hold its next event on April 26 in Fort Lauderdale, Florida — just one day prior to the UFC’s event in Sunrise.